(LĐXH)- The agenda of labour market policy and up-skilling is becoming more important than ever as Viet Nam is entering a new era of deeper international integration. To fully reap the benefits of free trade, the country needs to develop and implement labour market policies, including systematic approach to up-skill its growing workforce. 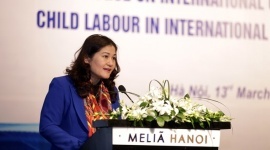 This is the main message of a conference jointly organized by the Ministry of Labour, Invalids and Social Affairs (MoLISA), the State Secretariat for Economic Affairs of Switzerland (SECO), and the International Labour Organization (ILO) on 26, November in Hanoi. 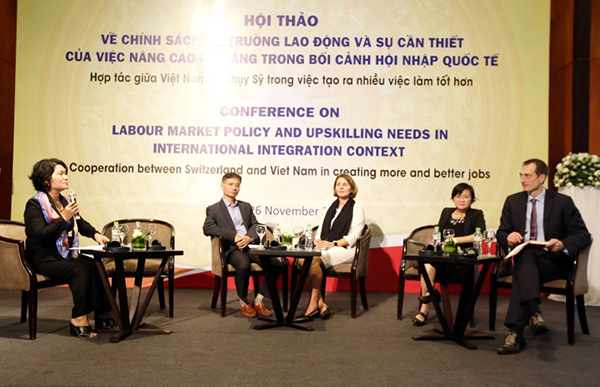 A high ranking Swiss delegation including representatives of the Government, employers and workers’ organizations led by Swiss State Secretary and Head of the Labour Directorate, Boris Zürcher, attended the conference, where they learned about the up-skilling needs of the Vietnamese labour market and shared relevant experiences from Switzerland. In his opening remarks, MoLISA Vice Minister Doan Mau Diep emphasized the need to strengthen labour market policies and up-skill the workforce in the fourth Industrial Revolution era. He also highly appreciated the cooperation between Viet Nam and Switzerland in labour and employment area. 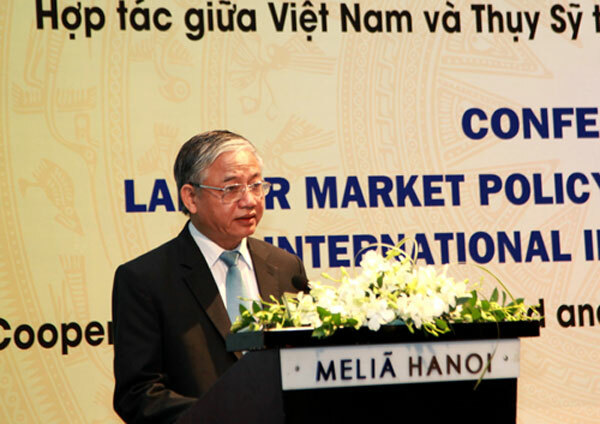 In the context of CPTPP (Comprehensive and Progressive Agreement for Trans-Pacific Partnership) and ongoing efforts for ratification of the EU-Viet Nam free trade agreement, he said that Viet Nam is making efforts to reform labour legislation and industrial relations system towards decent work for all in order to ensure fair sharing of gains from free trade and increased productivity. The Swiss Ambassador to Viet Nam, Beatrice Maser, emphasized the importance of “social dialogue, improving working conditions and enhancing productivity in response to the requirements of globalized production processes, and ultimately contributing to sustainable and inclusive economic growth”. 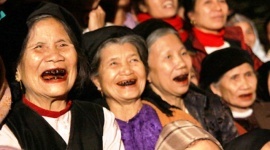 Switzerland started its development assistance to Viet Nam in the early 1990s. Through its close collaboration with the ILO and other development partners, good progress has been achieved. According to Raymund Furrer, Ambassador and Head of the Economic Cooperation and Development Division, SECO, Viet Nam’s increasing economic and trade integration is more important than ever to ensure that all Vietnamese people can benefit from inclusive and sustainable economic growth. 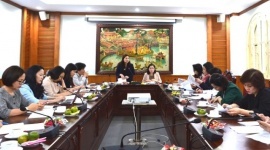 By providing support to the projects that enhance productivity and improve working conditions in Vietnamese enterprises, Switzerland contributes to the integration of Vietnamese businesses into global value chains. During the conference, the ILO and OECD (Organisation for Economic Co-operation and Development) presented the results of a research funded by Switzerland on labour market in ASEAN. The report showed the need to improve skills development, strengthen workers’ rights and expand the coverage of social protection mechanisms, if countries are to benefit from free trade. 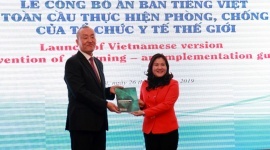 Swiss State Secretary Zürcher trusted that the report will help strengthen labour market institutions and the importance of labour statistics in Viet Nam. 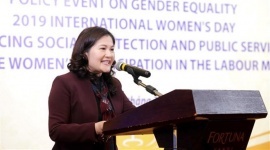 In that context, ILO Viet Nam Country Director Chang-Hee Lee emphasized the timeliness and relevance of today’s conference. “Viet Nam needs to develop modern labour market policies based on solid evidence to constantly respond to changing needs of industries and workers, while providing necessary social protection to workers at the time of rapid change, symbolized by Industrial Revolution 4.0,” he said. He also expressed his appreciation for the Swiss support to Viet Nam in improving business performance and working conditions through Better Work programme in the garment sector and SCORE (Sustaining Competitive and Responsible Enterprises) programme in the wood processing industry. 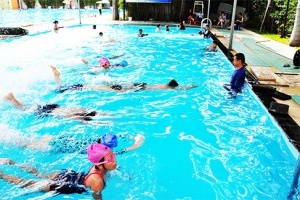 SECO is one of the main donors of these initiatives. 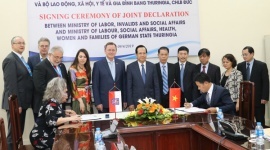 “We look forward to continuing partnership with SECO and the Swiss social partners to further enhance capacities of the Government and social partners in Viet Nam to ensure continuous improvement of productivity and working conditions through dialogue and cooperation,” ILO Viet Nam Director added.